ABB will supply a microgrid solution to the Energy Storage for Commercial Renewable Integration (ESCRI) project, which will provide a more secure power supply in an area that has high renewable penetration into the grid. The solution will connect an ABB Ability PowerStore™ 30 megawatt (MW) battery energy storage solution to the Electranet transmission system enabling the value stacking of storage in regulated energy market. In Australia, the increase of intermittent renewables within the power grid is adding complexity for grid operators. In South Australia wind farms generate the bulk of electricity consumption for the state. There is also an increasing deployment of solar, both large scale and roof top panels installed in the state and across the country. 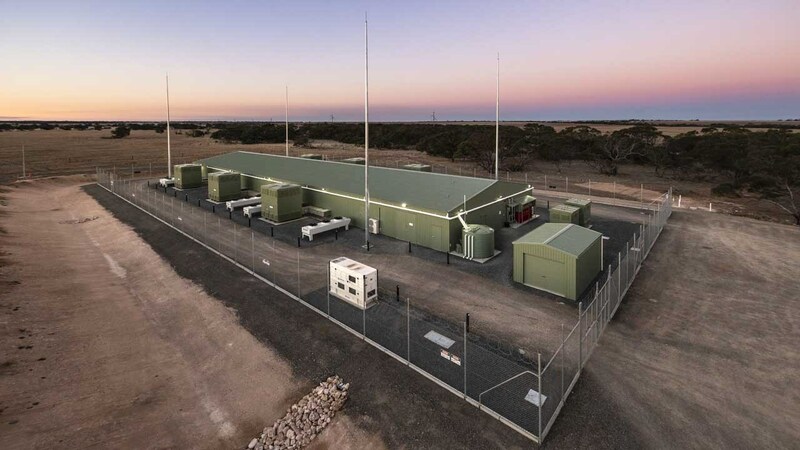 The ABB Ability PowerStore will be installed at the Dalrymple substation on the Yorke Peninsula in South Australia. Not only will the solution improve the overall reliability of power supplies, but it will also make it possible to provide additional market services and fast-acting power response that helps to balance the network on a daily basis and also support the increased power transfer with the interconnectors to Victoria. In the event of a transmission line outage, the islanded microgrid solution will work together with the existing 90MW Wattle Point wind farm and distributed rooftop solar PV’s to provide uninterrupted power supply until connection to the grid is restored. The ABB Ability microgrid solution will be able to deliver enough power to run about 400 homes for at least 24 hours without the input from renewable generators. ABB’s advanced Microgrid Plus control solution will manage the sophisticated automation of the hybrid systems while ensuring secure and seamless power supplies with an optimal renewable energy contribution. This project is part funded by the Australian Renewable Energy Agency (ARENA) and is being delivered by the Engineering and Procurement Company, Consolidated Power Projects (CPP) working jointly with ABB. South Australia’s principal Transmission Network Service Provider ElectraNet owns the installation, with the daily operations to be the responsibility of the energy provider AGL. ABB has also supplied a dry-type transformer and switchgear, which has been integrated into the microgrid solution as well as engineering services, operations and maintenance support.